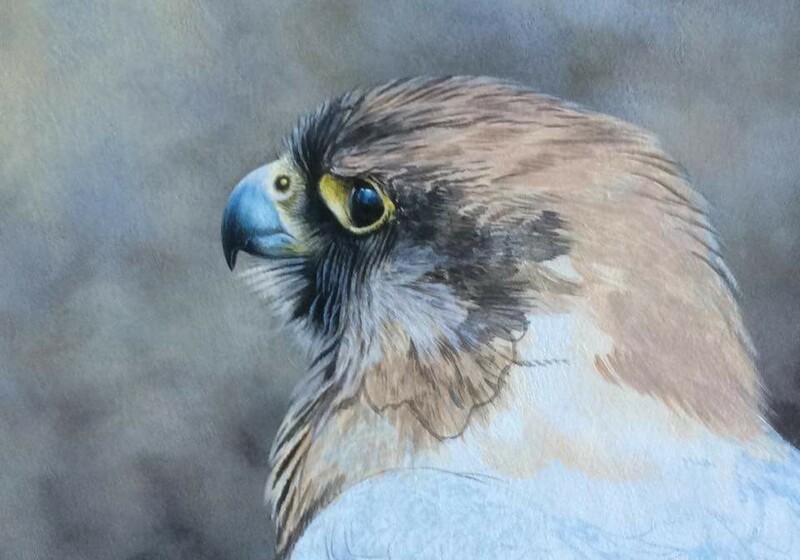 The paintings on this page are under constant development so they may be already finished. 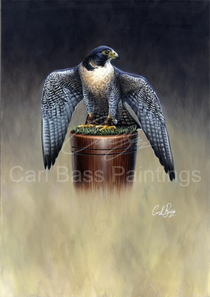 Too see the finished product check out our Paintings For Sale page. 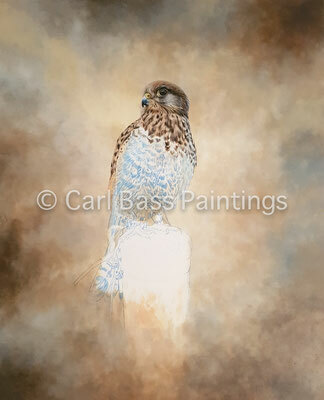 On the easel at the moment is a painting of my wife's common Kestrel, Sky. 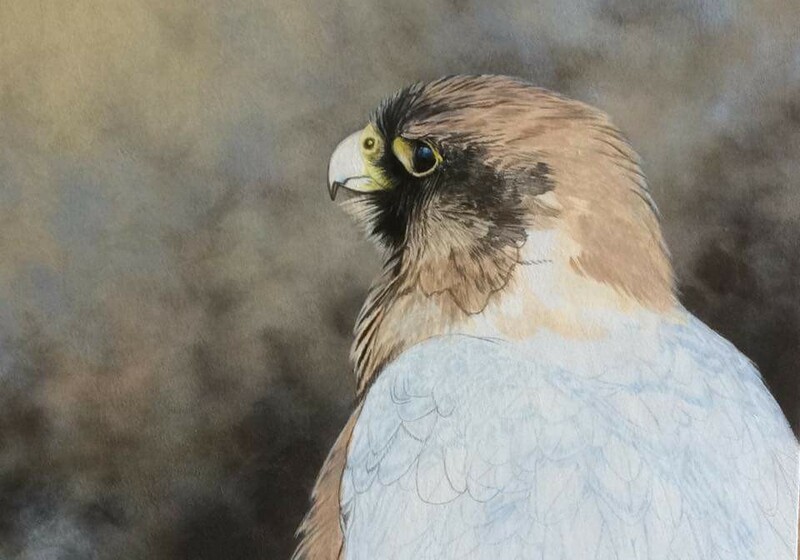 Its proving quite tricky with the feather detail but I do like a challenge. 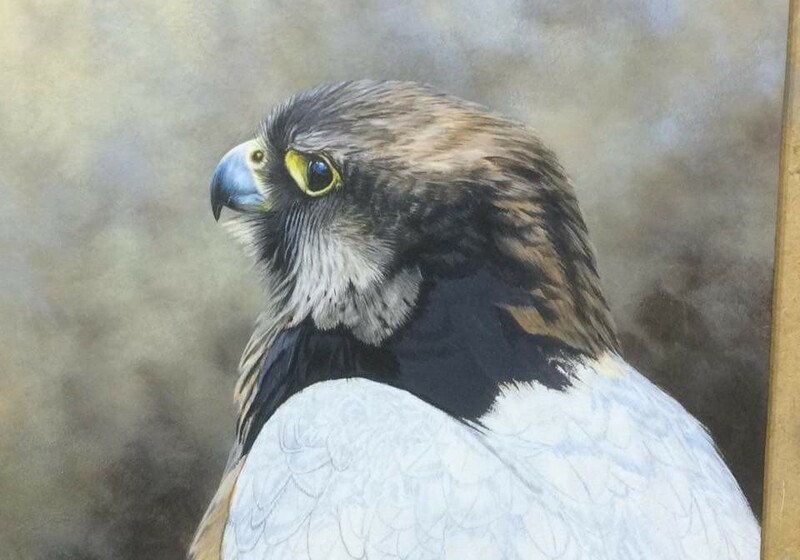 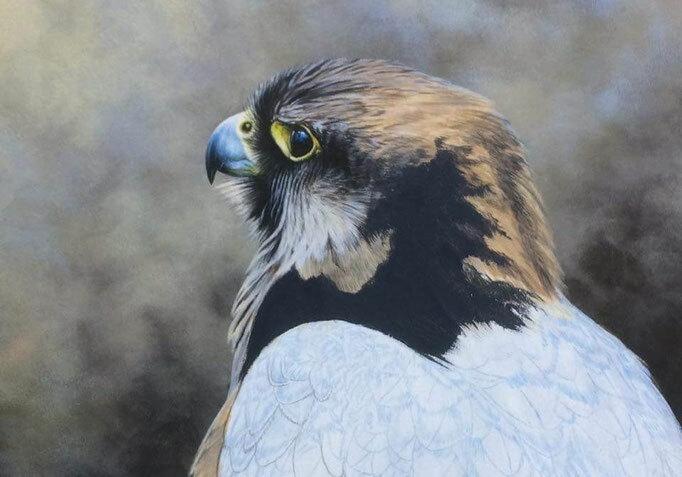 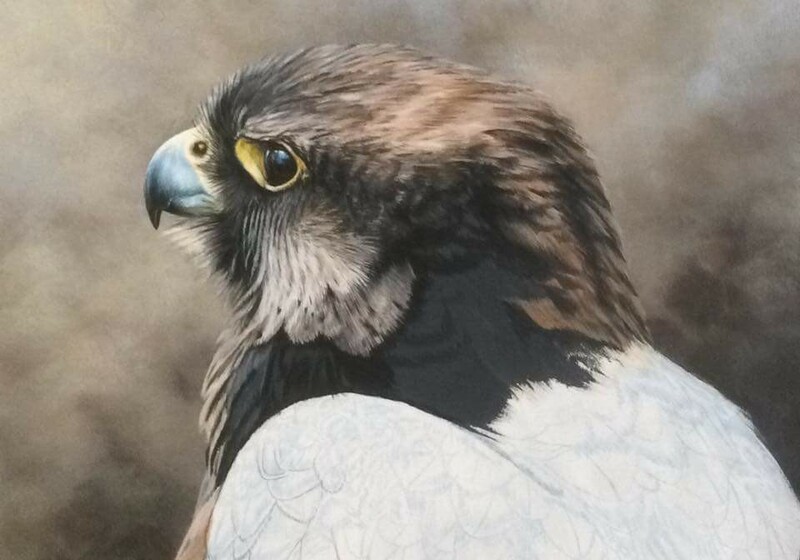 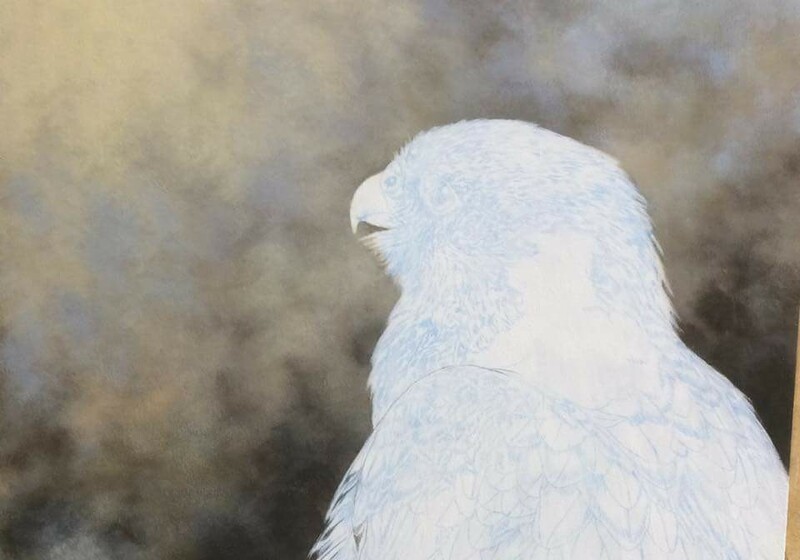 Below is a painting of a Lanner Falcon, if you look closely you can see the fine details and changes between the photos depicting the starting stages of this painting.